Some people are told that they are too obese to live and that they will die if they do not do something drastic. You may have all these facts and yet the temptation to eat junk food or be lazy is calling you with seductive regularity. The weight loss scrapbooking project or keeping a journal might be the way forward for people who are in this situation. Your health is very important and therefore you should always take the opportunity to do the things that can give you a second chance. These are the ways in which you can make a difference using your journal or scrapbook. This is an ultimately natural method for losing weight and you should pay attention to it. 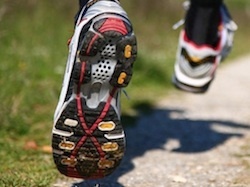 It has been estimated that many people enjoy running up to 100 yards but soon tire. Using your journal can help you break up your daily running targets into short spurts that are strategically timed near your meal times so that you can use up as much energy as possible. It can also help you to set goals that can be achieved. If you are running to a target the chances of meeting the objective are significantly increased. Depending on the state of your current health, some suggest that beginners should run for no more than 20 minutes and should use resting periods to recover their breath/energy. Eventually you will burn those calories and increase your stamina significantly. A seemingly easy way out has been provided by cosmetic surgery and weight loss pills. In fact it has been reported that up to 1% of patients die within 30 days of completing their surgery. Pills are associated with destructive side effects and should never be recommended until adequate research has been done into their efficacy. If you find research that relates to these risks then you should include it in your journal entries just in case you are looking for motivation to move ahead. There are no easy ways to achieve all your targets. Instead you have to be prepared to put in the hard work and put up with the occasional setback as you struggle towards your ideal weight levels. One of the things that can happen when you are obese is that you become self-conscious. In some instances you may feel as if the entire world is watching you and it feels like you stick out like a sore thumb. The benefits of weight loss scrapbooking and journaling include the ability to put things in perspective. In that way you will not be entirely put off by the idea that you have to change your living habits accordingly. Many people are held back because they are inherently pessimistic about their chances of winning the struggle. This is precisely the kind of negative attitude that can be overcome using positive affirmations in the form of words or images. Remember that targets tend to help you to exercise even more efficiently than before. When you are presented with the ultimate challenge of getting healthy or dying, it is tempting to start panicking. Consider beginning anew by creating a scrapbook that contains your ambitions and possible hurdles to overcome. Review your achievements from time to time and you will be pleased and surprised by the outcome.